Opened in 2000, Coex Aquarium is located at Coex Mall in Gangnamgu, Seoul. 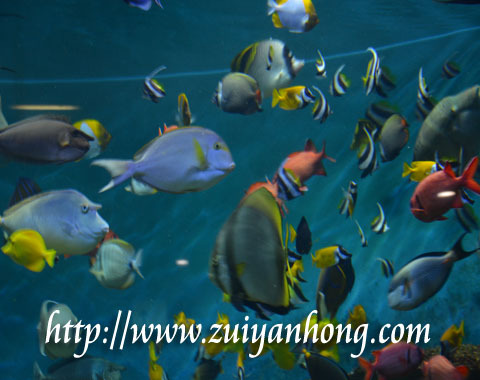 It provides visitors very unique experience on underwater world life. There are more than 40,000 marine creatures in Coex Aquarium. As the largest aquarium in South Korea, Coex Aquarium is not only a marine theme park but it's also an ideal classroom for learning marine life. Coex Aquarium opens 365 days a year. The opening hours are from 10am to 8pm. The admission fees are 11, 000 Won for children, 14,500 Won for teens and 17,500 Won for adults. The last entrance is 7pm that is an hour before the closing of Coex Aquarium. 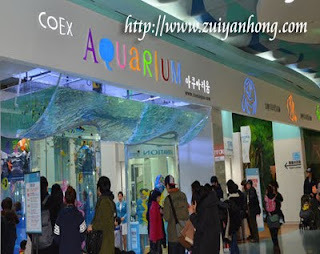 Regarding the transport to Coex Aquarium, feel free to read my previous article.